Home > Uncategorized > Pfaltzgraff Leaf or Laurel 16-Pc. Dinnerware Set, Service for 4 Only $19.99 From Macy’s! February 9, 2019 Comments Off on Pfaltzgraff Leaf or Laurel 16-Pc. 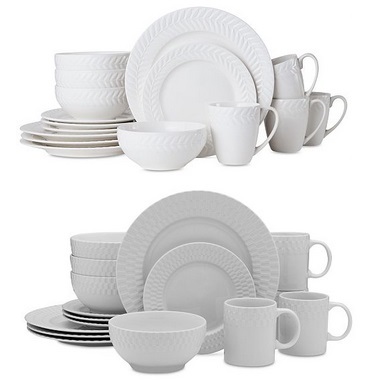 Dinnerware Set, Service for 4 Only $19.99 From Macy’s! Macy’s has the Pfaltzgraff Leaf 16-Pc. Dinnerware Set, Service for 4 or the Pfaltzgraff Laurel 16-Pc. Dinnerware Set marked down to only $19.99! Macy’s offers free shipping on orders of $25 or more, or free in-store pickup.